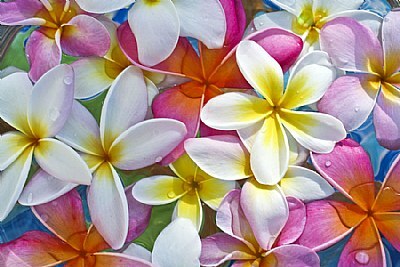 About I picked some of my plumeria, floated them in a glass container. I then set them on top of a blue and green table cloth. This is what I got. best congrats for the DOD deserved !!! Beautiful Pictorial composition and photograph.